This kit contains 42 separated design elements (flowers, berries, twigs) to create combinations. 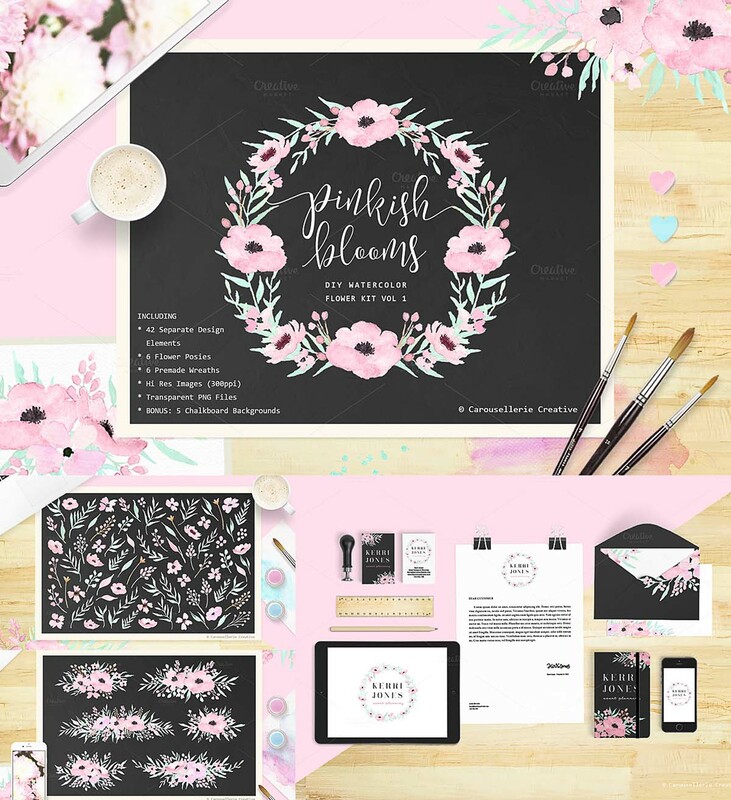 Perfect for DIY cards, invitations, labels, posters, your own logo and business cards, etc. Tags: bloom, bouquet, floral illustration, laurel, pink, watercolor clipart, wreath.